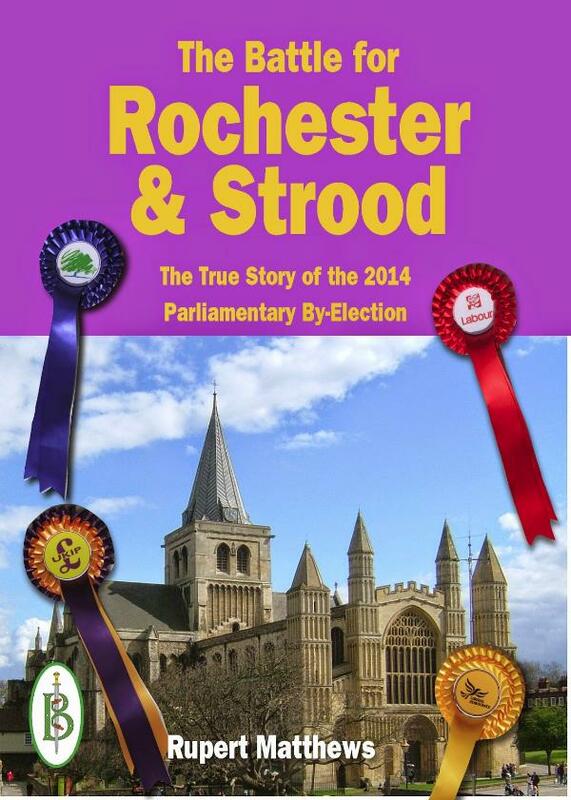 The Rochester & Strood by election of 2014 was perhaps the most important in a generation. For decades the seat had been a key Conservative-Labour marginal. Whoever won here won the country. But then in 2014 Mark Reckless the Conservative MP suddenly defected to UKIP and resigned to force a by-election. Now nobody knew what would happen. Consdervative leader and Prime Minister David Cameron declared that he “would throw the kitchen sink” at Rochester &?Strood. Soon the Conservative Party was pouring money, people and resources into this corner of Kent. Taking many people by surprise, Labour quickly pulled back and ran a very quiet campaign. It was UKIP that was turning out to be the main rival to the Conservatives. Very soon the by-election developed into a fascinating example of how national politics and interplay with local issues. . And the final result came as a surprise to even the most seasoned commentators. Rupert Matthews followed the by election from start to finish. He was at UKIP Conference when Mark Reckless announced his defection, and he was at the Count when Reckless wone. He is an experienced writer and politician. He has stood for Parliament and for the European Parliament as well as for local council.